We have been hard at work here at REGI. Unfortunately the blog has not had attention as we are trying to tend our spring cleaning. 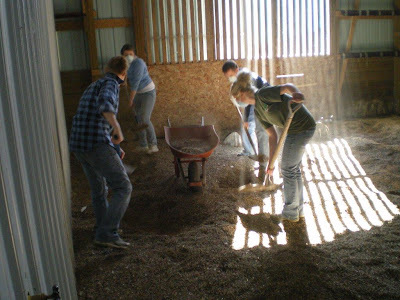 We have several UWSP Field Trips coming up and a seminar so the facility needs to have the gloom of winter gone. We have already admitted a nestling passerine this year! That makes the earliest admission of a baby passerine in our history. Our far north location makes it nearly impossible for songbirds to successfully nest in March, which is when the parents of the little one above went to nest. Besides being early, this is the first Pine Siskin youngster we have ever had at REGI. We get plenty of adults during the winter season, but never chicks. Pine Siskins are birds of the par north and are usally thought of as irruptive winter finches. 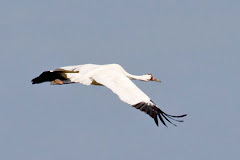 This year was not however an irruptive year for northern birds. With the presentation of this youngster we KNOW for sure there were at least two adults in Langlade County this early spring. :) The Breeding Bird Atlas for Wisconsin documented only 27 confirmed nesting of Pine Siskin in WI, so we don't feel too bad that we were surprised when the little one showed up on our door step. Our babe is the earliest nesting ever reported to our knowledge. We are delighted we can add the data for the earliest nesting to the logs of ornithology for the State of Wisconsin. We are grateful for students from the Biological Honor Society that came to help last weekend. 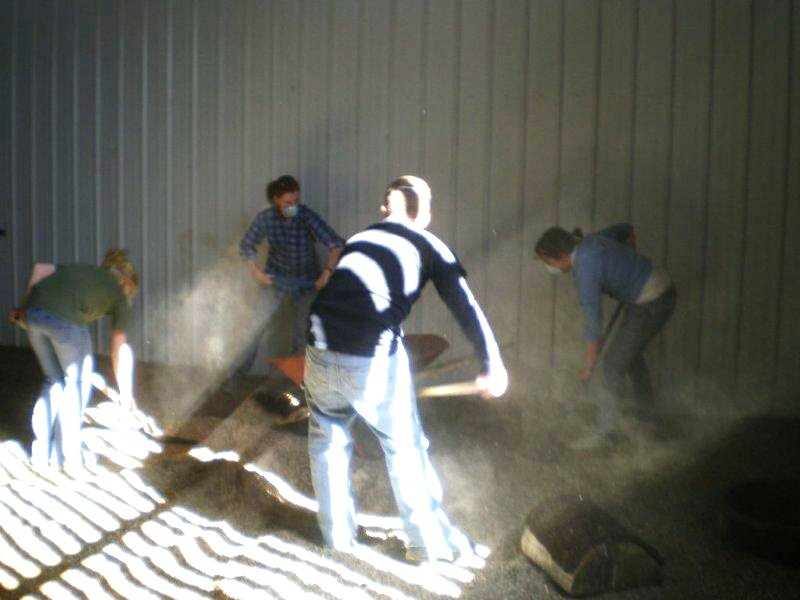 They did some really hard work hauling gravel out of the flights. Every few years we have to change the pea gravel in the flights. it is hard, heavy work and not one that people think of when they consider what needs to be done at REGI. Thanks everyone for lending a hand and strong backs too. We have some sad news this week. REGI lost a good friend with the passing of Bob Javurek. Bob was not only a friend of the REGI organization but also the father of former REGI intern and employee Gina Javurek. We are a close "family" at REGI. Our interns become our extended family. Don and I attended Bobs funeral on Thursday in Eau Claire, WI. We released a Red-tailed Hawk in his memory following the service. Bob was a special person and will be missed very much. Our deepest sympathy to his wonderful wife Kris and daughters Gina and Nicki Javurek as they struggle to cope with Bob's sudden passing at age 59. Rest in peace dear friend. We will be back at a more regular pace with the blog now so stay tuned! 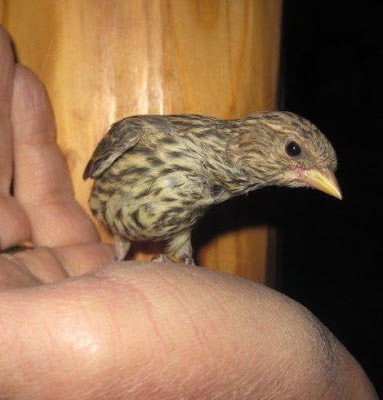 If we can admit a baby Pine Siskin, you never know what may be coming in next!